Scroll sideways: In many versions of Excel, holding down the shift key while scrolling will take you sideways. That’s super helpful in a big spreadsheet. Scroll to zoom: Holding ctrl and scrolling lets you zoom in or out of the page you’re viewing. Ctrl-scroll up zooms you in; ctrl-scroll down zooms you back out. On a Mac, this trick will zoom in and out your whole screen, not just the document you’re in. Say you are talking to someone, your computer goes to sleep while you are not on the computer. You hate that you have to log in again. It happens many times of the day. You may not want to change the sleep settings (or locked out evil IT department Group Policy Objects). Here is a little tip to cheat the system. 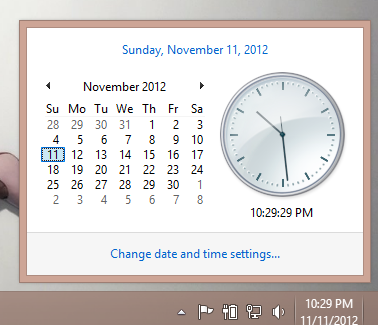 Click the clock on the task bar to bring the analog clock and calendar like below. Leave the mouse on top of the analog clock. Your screen won’t lock or go to sleep. The Analog clock second hand movement is tracked by your mouse, so the computer thinks you are busy doing something. 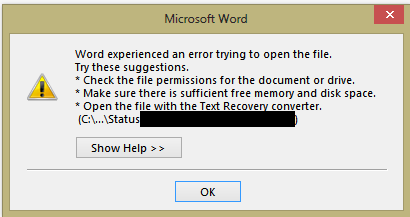 When I try open the attached office document files, I get Word/Excel/Powerpoint experienced an error trying to open the file like the following popup. Don’t search any Outlook settings. This is not the Outlook issue. It is the respective program (Word or Excel or Powerpoint) refused to open the document from unsafe origins. The solution is to fix the corresponding program. You may end up fixing all office programs. To fix the issue follow the instructions. Open Word (or Excel or Powerpoint). Click File tab and select Options. 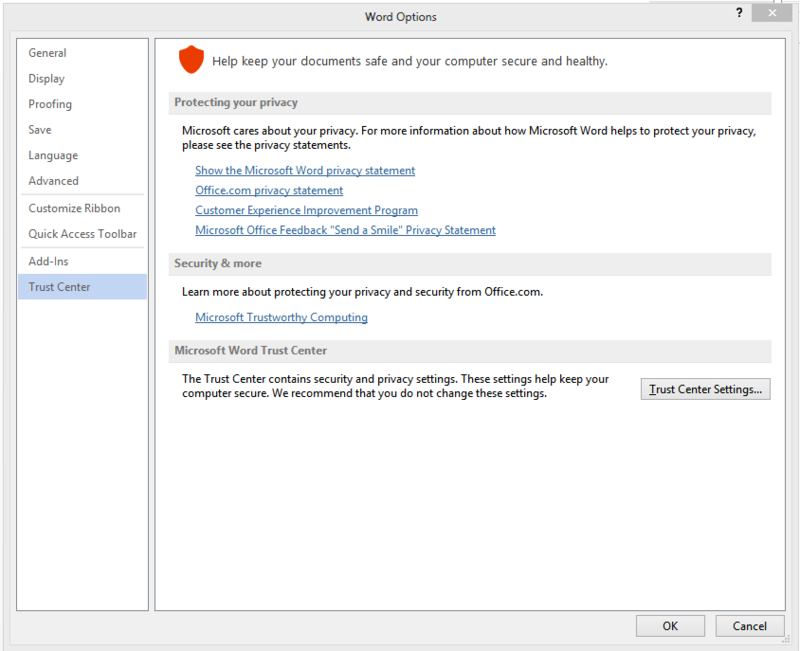 Click Trust Center and click on Trust Center Settings… button. 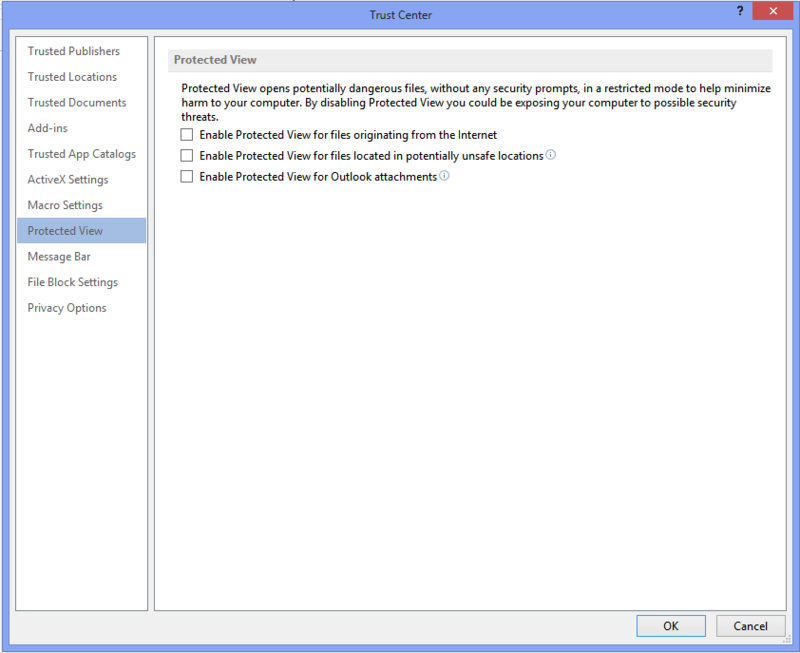 Uncheck Enable Protected View for Outlook attachments. You may choose to uncheck all the options here, I would left other checked. Now try open the attachment from Outlook. It will open normally. Enjoy!